The Internal Revenue Service (IRS) does much more than process tax returns. The IRS is a government agency (i.e., bureau) of the Department of the Treasury that employs over 100,000 people in over 40 cities nationwide. The IRS also has four regional offices in Austin, TX; Cincinnati, OH; Kansas City, MO, and Philadelphia, PA. 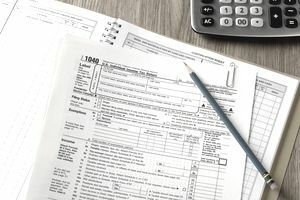 The mission of the IRS includes educating taxpayers, incorporating changing tax policy into collection vehicles, advising government bodies, conducting investigations and hearings, and assigning penalties to violators. If you're job hunting, you should think of the IRS as a huge employer with offices (and opportunities) scattered throughout the country. One of the key benefits of working for the IRS is that, despite occasional talk on Capitol Hill about potential government shut-downs, the IRS is one employer that will never go out of business. Internal Revenue Services (IRS) employment information, including full-time professional and career opportunities and seasonal/temporary IRS jobs, is posted on their official website. Also available is information regarding benefits, training, and recruiting events. You can search for IRS job listings and apply online for some job openings via USAJobs. You can also sign up on the IRS website if you want to receive new job postings by email. If you peruse the website, you'll see that working for the government not only offers job security but a lot of employment benefits. Benefits include long-term insurance; federal employee group life insurance; inclusion in a federal employees health benefits program; inclusion in a federal employees retirement system; annual pay increases; overtime pay; alternative flextime schedules; leave time, and inclusion in a recognition and awards program. As a newly recruited IRS employee, you'll be able to take part in a learning and skills enhancement program starting day one. This program provides in-house classroom instruction, on-the-job training with experienced instructors, continuing education courses, and on-site training using a web-based long-distance learning program. If you're interested in a tax season, or other seasonal jobs, IRS Service Center positions are available for Data Transcribers, Clerks, Tax Examiners, and Contact Representatives. Many of these positions offer paid training and benefits. Review information on how to apply for IRS jobs, including IRS Vacancy Announcements, online applications, and applying using USAJobs.